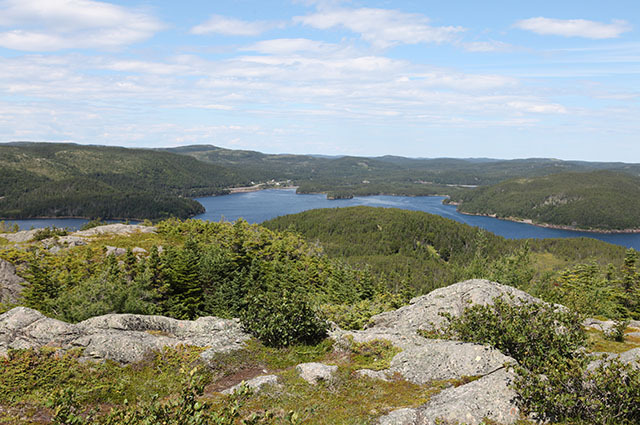 Consisting of two short trails (Upper and Lower) both provide you with breathe taking views of the historic Town of Trinity and the surrounding area. 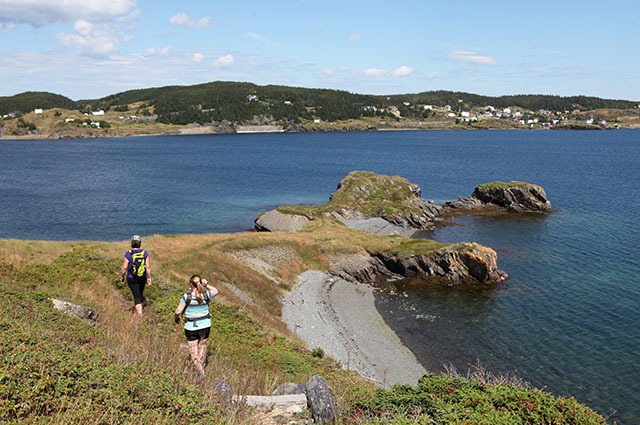 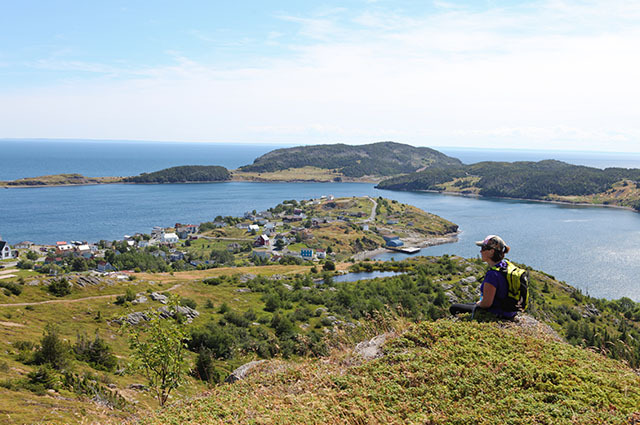 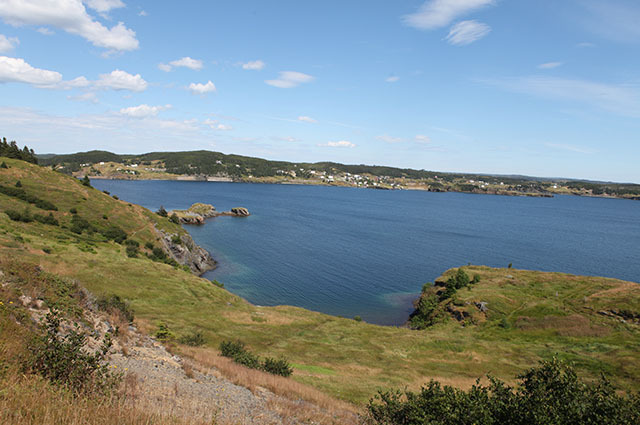 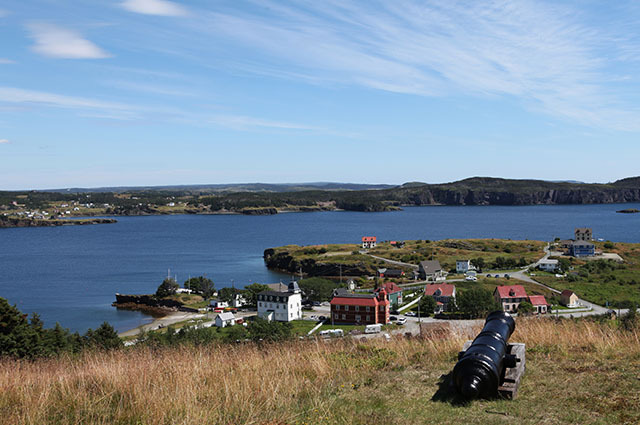 The Upper Trail takes you to the top of the central point of the Town of Trinity, Gun Hill, from which amazing views of the Town, adjacent communities and Trinity Bay can be absorbed and understood as to why this place was settled early for its protective harbour. 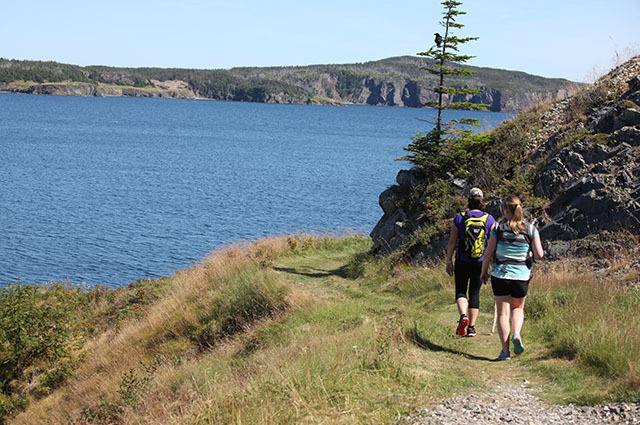 The Lower Trail gives you a different perspective of Trinity as you break through a wooded area and come out into the clear to view the historic community. 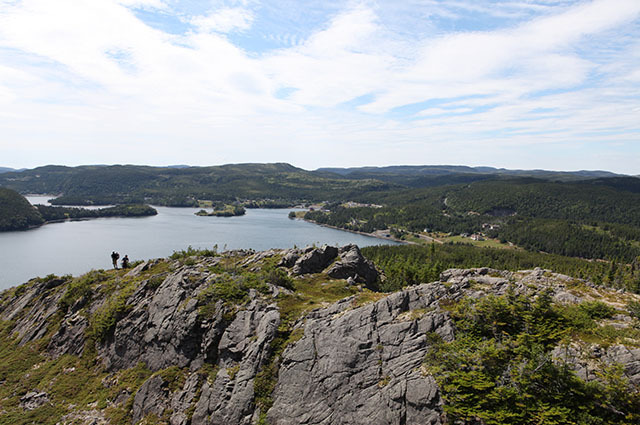 Parts of the trails are a little difficult but well worth the hike. 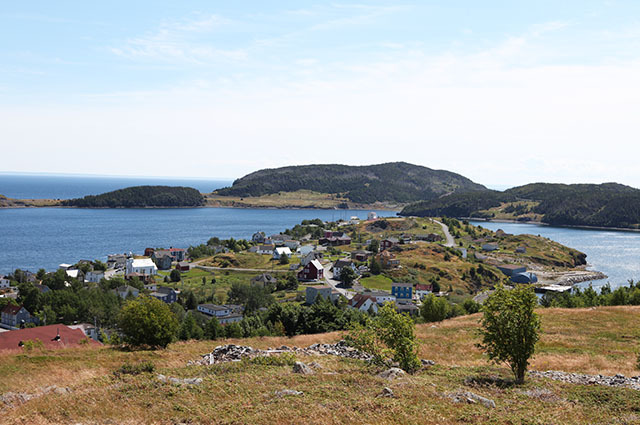 "A breathtaking hike and view"
The climb to the top of this hill gave me a 360 degree view of not only the town of Trinity but local surrounding area. 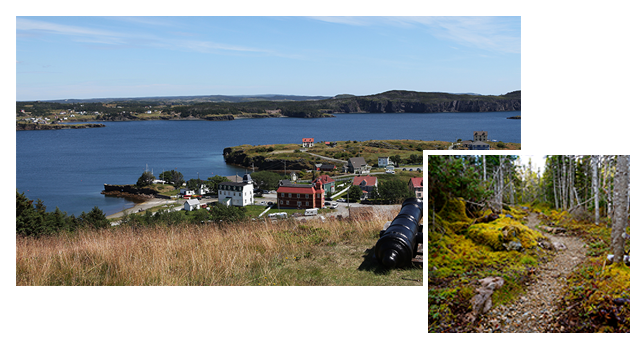 A photographers dream!